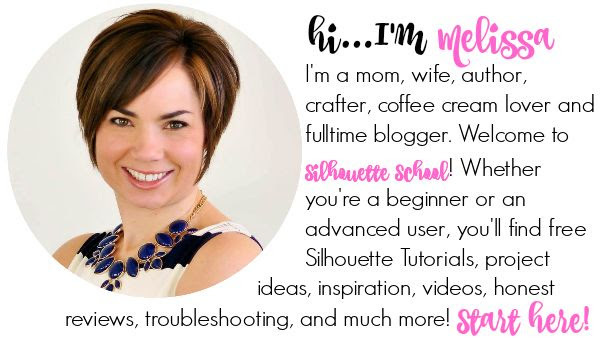 Get Silhouette School Tutorials, Tips, Tricks, and Updates straight to your inbox! I agree to receive electronic messages from Silhouette School Inc. containing information and offers with respect to activities, products and services that may be of interest to me, including notification of upcoming events, sales, promotions and newsletters. I may withdraw this consent at any time by clicking on the “unsubscribe” link in the electronic messages. You may contact us at 523 Capitol Trail, Suite C, Newark, DE 19711, USA or at silhouetteschoolblog@gmail.com. These are the best tutorials ever. I am learning so much from them. I've learned more from these than any other resource, love the step by step instructions and illustrations provided. I bought your E-Book. Can't wait to get started reading and learning. Thanks so much for the education. Eager to learn more.. Bought the book but am hungry for more.. Thanks for sharing all of your knowledge.. I have had my Silhouette Cameo for 3 years. It sat in the box for 2 yrs because there were no instruction book! A friend finally showed me how to do a basic cut, but that was all she was able to show me. I purchased the Silhouette in order to cut material for applique's for embroidery. I have Rheumatoid Arthritis and there are days using scissors just won't happen, but I enjoy my computerized embroidery machine. I can be creative without having to really manipulate my hands that much! So basically, the Silhouette has been just sitting there collecting dust until I found your great website school! I love you ebook and your school! Like everyone else I am finally able to have fun with my Silhouette machine, thanks to you and your great basic instructions! I give everyone I know your website. Your my hero and this has allowed me to be even more creative with a new grandchild. Thank you so much. Keep up the great work and know that your greatly appreciated. Aww you're sweet, thanks Susan! finally ordering your ebook tonight - time for some treat yourself. Like many, I'm a visual learner and I'm looking forward to learning more with your book at my side. Hi Melissa, I was wondering if you aren't sending blogs via e-mail daily as you did in the past? I see your posts on Facebook, but not receiving them daily. Has that changed and I overlooked that? LOVE your blog and save all of them. I also love your e-book! Thank you for all that you do! Hi there! If you subscribe above to daily emails you should be getting them in your email inbox. They go out daily! You can also check the blog daily for the new tutorials as well. I really enjoy my Silhouette and I purchased your ebook when you first published it. I have found your ebook to be very informative and helpful in using my Silhouette. Thank you for all your hard work! I am trying to subscribe to the lessons but am unable to. There are so many! I love the layering vinyl tips! Ove this sight, so informative! Love all your great tutorials and information, you take the scariness out of using my machine. My red cutting lines are jagged. Please help. It's on everything I try. I was given my silhouette cameo Nov 2012. I have now just gotten to becoming "involved," and it's Dec. 2015. Thanks to my discovery of your tutorials and "plain-speaking," I feel I can now tackle it. I'm actually pretty excited about it. Please keep up the good work. I, for one, truly appreciate it and believe you should get a HUGE commission from Silhouette. Thank you again. I cut a lot of fabric with my silhouette, would you recommend this blade for that? I go through blades like crazy! Hey, Melissa!I've tried to subscribe for a couple of days and have had no response. 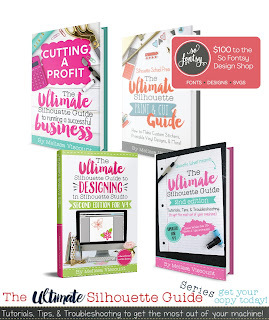 I was also interested in buying the Ultimate Silhouette Guide, but the lack of response makes me a little wary about sending money to a site which doesn't seem to be interested in subscribers. I hope this is just a temporary issue as it looks like there is a lot of information in the book and on this site. 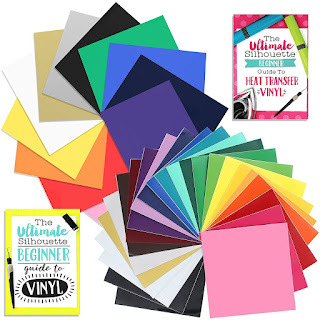 Hi Melissa I bought your book five beginner silhouette tutorials and I can't find the file cut for the projects the link I have (http://bit.do/SilhouetteNewbies ) is there another link to use because that one is not working. thank you very much. My Silhouette Cameo is still waiting for me to plug in and start up AFTER more than a YEAR. Partly because the loss of 2 family members, but also because I've just been too wimpy, lol...and intimidated by the software alone! But, alas, I've discovered this school and blog and I'm about ready to begin. Fortunately, my ex is a "sign guy" who makes vinyl signs and I had the opportunity to peel and weed the vinyl for him, and watch him apply his signs many, many times so, I bring some rudimentary knowledge and experience with me. Also, (lucky for me), I've got drawers throughout my house with vinyl squeegees and may even have an old roll of vinyl to practice with! Nonetheless, had I not stumbled upon this source, my SilCam may have sat gathering dust for yet another year. I also purchased the book written specifically for the Cameo and beginners and I think it's a fantastic book. Worth every penny! 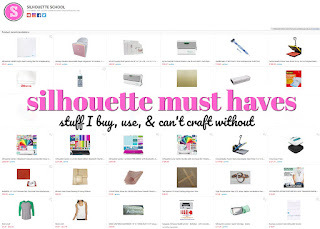 I really look forward to using this site frequently and as much as possible since I've yet to find another that even comes close to all that's offered from Silhouette School Blog! Thanks for mountain of help and for creating such a comprehensive and dynamic place to go for us beginners! How do I unsubscribe from the weekly newsletter? Option to unsubscribe is not working. Thanks so much. You've helped me no end. Just one request please. I've just bought your Curio e-book. It's great but could we have a more advanced one next please?? Thank you sooooooooooooooooooooooo much. I discovered you in time to discover my new Curio. Please don't stop to do this. I liked too much your lessons. God bless you! wow! for all these tutorials and learned a lot, I am delighted with everything that teaches us on your page because I'm still learning. I am very grateful to you . Why won't it accept my email. I bought you book last year..I would love to be enrolled in the school and weekly. I stumbled onto your site while googling some things I was curious about. I just ordered my Cameo 2 today and am impatiently awaiting my shipment to arrive. Luckily I have Amazon Prime so I don't have too long to wait. I will be reading as many of your posts as I can so I'm ready to roll once it gets here. Thanks so much for your blogs!! Such a help!! Thanks, great tutorials! I love you!! Thanks for all you do!! I love live my new cameo 3!!! I love using heat transfer and creating fun shirts and stuff!! Just entered the giveaway and can't wait to start getting my emails!!! I love my Cameo!! 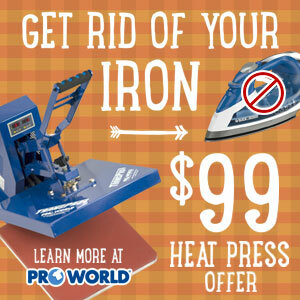 I use it to make lots of fun projects, specially card making and scrapbooking. Thanks for the Wonderful Giveaway!!!! Just got my cameo within the last year, It has been A life saver I use it to make stencils, stickers cards and cut outs! I actually use mine as a hobby to relax from my jewelry design business. I also like to make items for non- profit causes. My next project is for the IWK (children's hospital in Nova Svotia Canada) Make a Wish annual telethon. My childhood best friend has a son that just beat leukemia and were able to visit Paris with the foundations help. I have had my cameo for three years and love it. I use it for cards, Scrapbooking and mini albums. Thanks for the opportunity to win a fabulous prize. 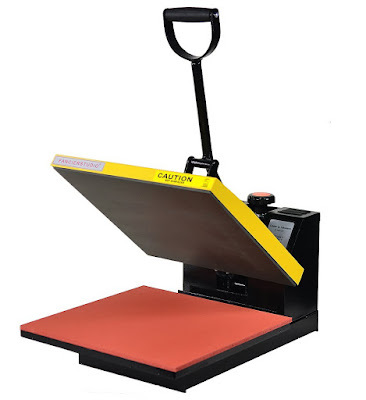 What's your favorite way to use your Silhouette machine? My favorite way to use my Silhouette machine is to create anything and everything and sell it. Make it make money for me so I can "retire"(that means stay home and create even more). This is a difficult thing to answer. I use my Silhouette primarily for scrapbooking my family memories. However, recently, I've been using it to decorate my house (vinyl), gives and more! I LOVE my silhouette and can't wait to see what other uses will come. I bought my silhouette to cut fabric but I use it to make bulletin boards at work, stencils, labels, photo frames, gift cards, coffee mugs, you name it! I love your blog! It's the first place I go when I have a question regarding my silhouette cameo! Love love love your website!!! You've helped me out so much and so quickly! This is your true calling :) My favorite way to use it is with all the vinyl. I can be so creative and it always turns out so cute! I haven't received your emails for a couple of weeks now. I tried signing up again last week but they still aren't coming. Going to try to sign up again today. Thought you'd like to know that there might be a problem with your email system. 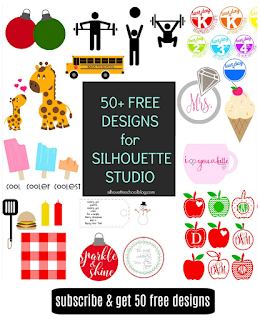 Silhouette School is the best teaching blog I've ever come across, hands down! I love and appreciate all the effort you put into your blog! Thank you! Yes, problem resolved! I am receiving your emails again. I am trying to subscribe to the emails but it is telling me... "Cannot Allow Entry" when I click Subscribe. Any way around it? Hi I was wondering if anyone can help me, I am having difficulty removing my paper from the cutting board, it keeps sticking too much and then ripping!!! What am i doing wrong???? I love all the things you teach us. I like to win because I have my birthday to and become 60 years. I've been using my Cameo for years, yet I always learn something new from Silhouette School! The tutorials are great - helped me get started with my Curio. I always find an answer and if I have a question, I email and get a quick response! Thank you. I know by following your tutorials I am going to learn so much about my Cameo 3 and how to use it!